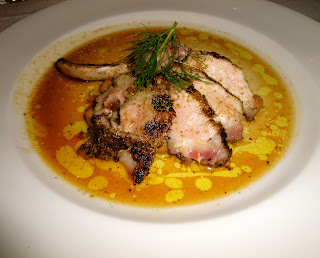 Had a post-Valentine dinner with the husband at the very popular Osteria Mozza in Marina Bay Sands. 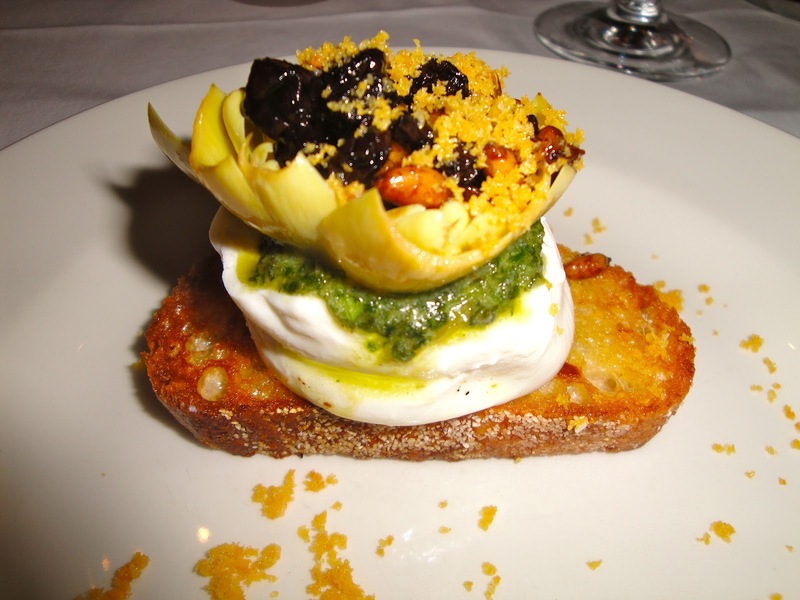 I have long been a fan of Pizzeria Mozza which is located next door, and have always been curious about what Osteria had to offer. Since it was after all a semi-special occasion (and also the fact we were lazy in choosing dishes on our own), we each had the tasting menu at SGD 128. For starters, my husband had the Antipasti Choice A: Smoked Sea Trout Salad with green bean salad, jalapeno, and toasted almonds. 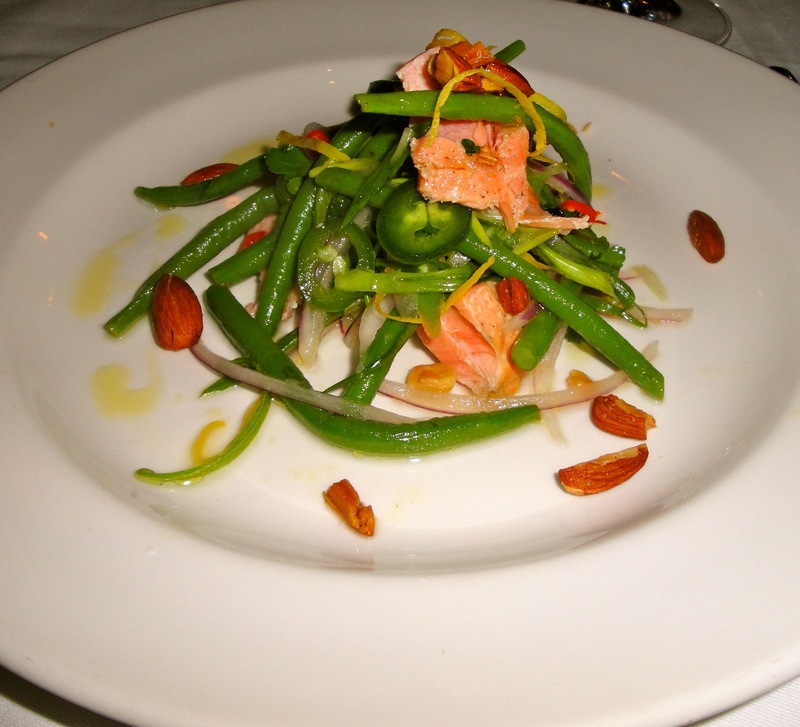 This was a nice and light dish and the almonds added nice texture and crunch to the dish. 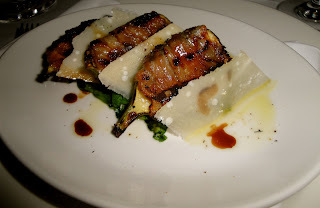 I had the Antipasti Choice B: Grilled Figs with pancetta, Parmigiano, and aceto balsamico. I really enjoyed this and the grilling on the figs were beautiful, leaving an almost meaty/ savory taste to the greens. The next dishes were from the mozzarella bar. 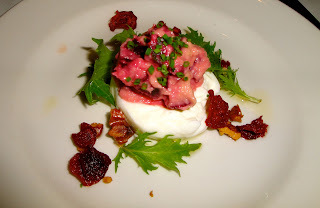 My husband had Choice A: Burrata with beets, horseradish, walnut, and mizuna. I really liked the combination of horseradish with mozzarella. The other mozzarella dish was Choice B: Burricota with braised artichokes, pine nuts, currants, and mint pesto. 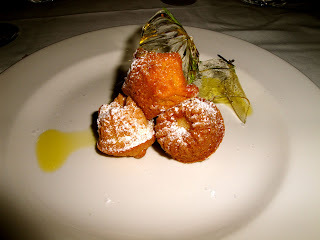 I enjoyed the artichokes and overall refreshing flavor of this appetizer. 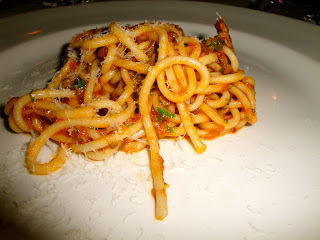 For the pasta dish or Primi, my husband had Choice A: Pici with duck ragu. This was alright -- the noodles were nicely al dente, but the sauce was nothing worth raving about. I had the Primi Choice B: Ricotta Gnocchi with wild mushrooms. 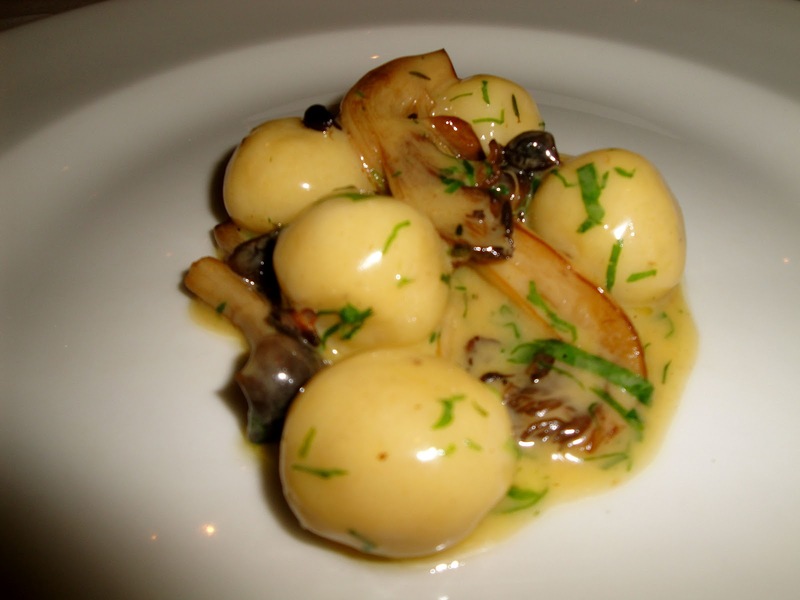 The potato dumplings (gnocchi) had a nice soft texture. The mushroom sauce however was too salty and quite mediocre. 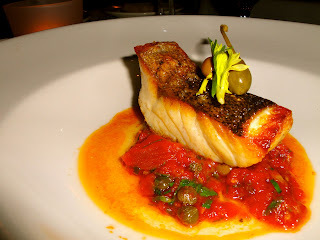 For mains, my husband had the Secondi Choice A: Pan Roasted Grouper with tomato, capers, and olives. The sauce was okay, but overall again nothing commendable. 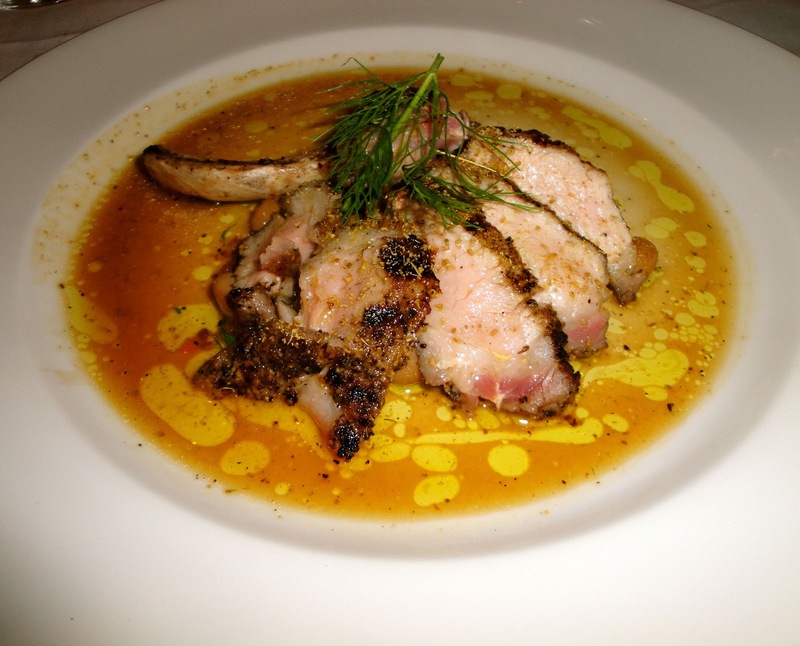 The other choice for Secondi was the Grilled Iberico Pork Chop with cranberry beans cooked in soffrito. I had high hopes for this dish as the presentation was beautiful. However taste-wise, it was one-dimensional. All I could taste was extreme saltiness from the seasoning and extreme sourness from the cranberry. It was sadly a disappointing main course. 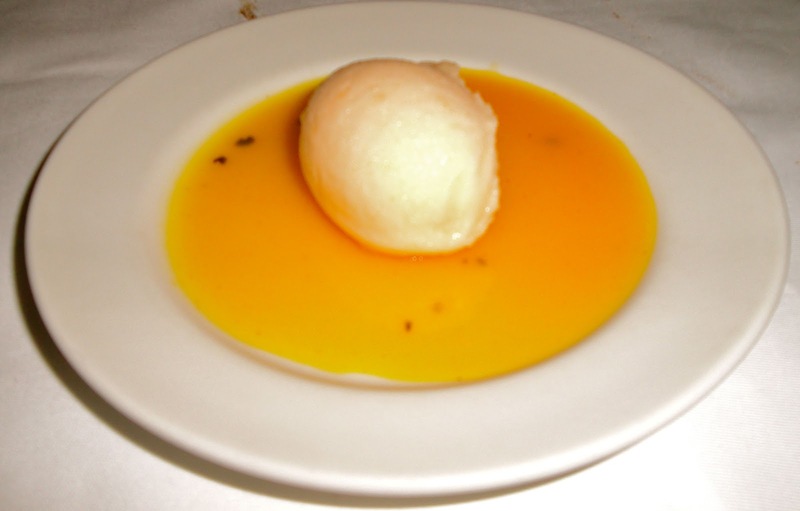 We were then served with Rock Melon Sorbetto with Passionfruit Gelatina. If I were to be frank, the dish looked rather ugly. There was no effort in presentation whatsoever. And the sorbet which normally is used to cleanse the palate did nothing of that sort as it was excessively sweet. 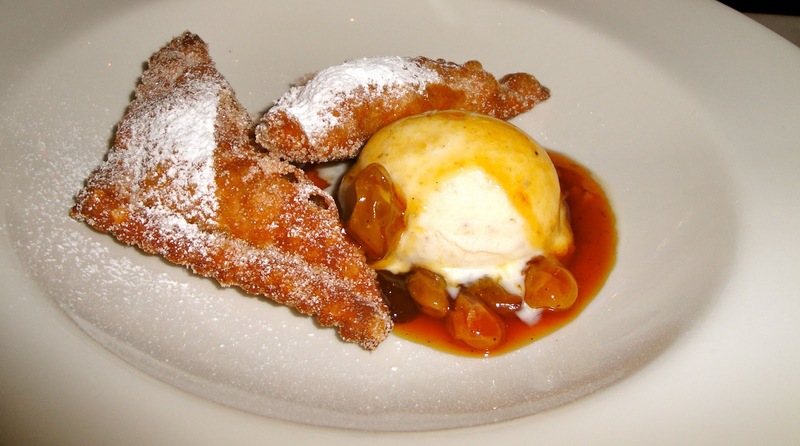 For dessert, the first choice was the Fritelle di Riso with banana gelato and rum raisin sauce. The alcohol content was too strong and took away from what would have been a decent dessert. We also had the Dolci Choice B: Rosemary Olive Oil Cakes with olive oil gelato and rosemary brittle. 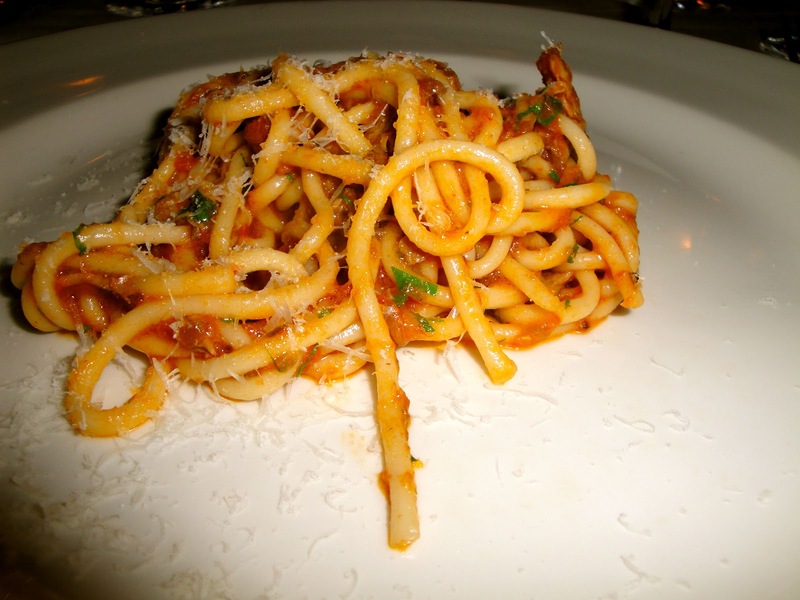 This was pleasant -- the hint of olive oil on the cake gave a nice aroma to the dish. I was hoping the tasting menu would be a great showcase of the restaurant's best creations, but apart from the antipasti and mozzarella dishes, this was rather average. Not sure if their ala carte menu would have been a better option, but sadly this experience was quite a let down. I've just found your blog- probably a perfect find just before dinner! :) Thanks for sharing these! The food in those photos looks amazing, I am literally getting hungry right now.